Tuesdays 10am-3pm for 12 weeks from January 8th 2019. 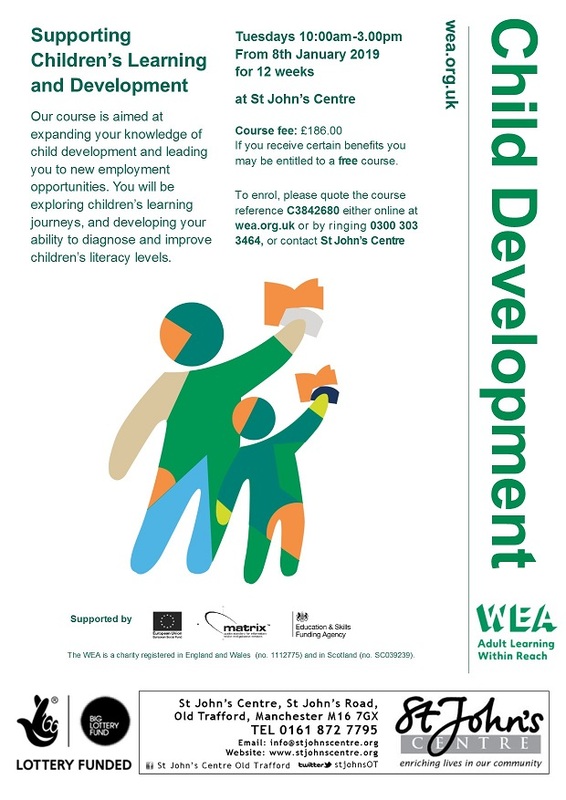 Our course is aimed at expanding your knowledge of child development and leading you to new employment opportunities in childcare, or a greater understanding of your own child’s learning and development. You will be exploring children’s learning journeys, and developing your ability to diagnose and improve children’s literacy levels. The cost of the course is £186, or free to learners on means tested benefits. Limited creche places may be available for children aged 6 months – 5 years. You can enrol online at www.wea.org.uk, or by calling 0300 303 3464 (quote Course Code C3842680), or by contacting the Centre.